Garden and Landscape tips for your South Hills Pittsburgh home. 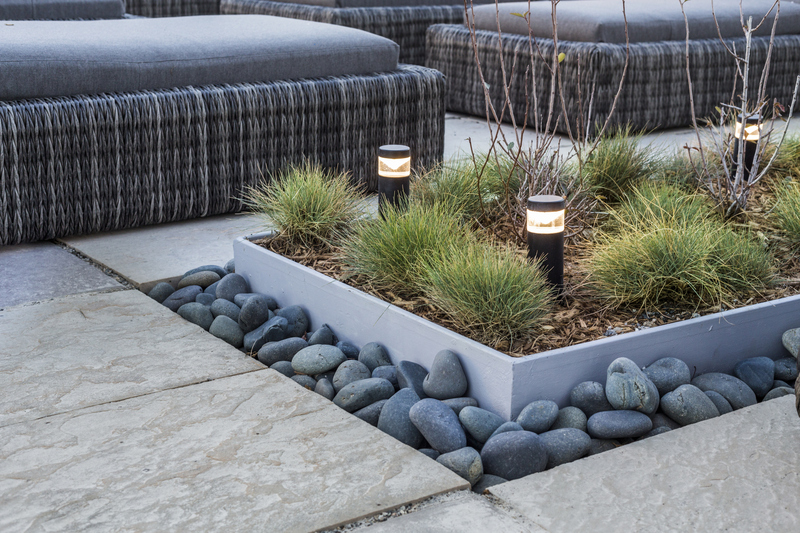 Just as cutting down on clutter is trending for your 2019 interior, creating a simple, yet cozy, landscape is the top choice for homeowners this spring. Let’s face it; most of us are far too busy to maintain a massive landscape on our own. But with these busy lifestyles, we are also becoming more mindful of our time and surroundings. That’s why many are seeking sanctuary in their backyards. This spring, the South Hills landscapers at J Bird’s Landscaping are outlining a few ways you can add life and leisure to your yard today. Some of us wait all year long for that one week we call “vacation.” And most of the time, there’s so much work and planning involved, we come home saying, “I need a vacation from my vacation”! This year create an outdoor living space where you can hang out any night of the week. Add a fire feature, incorporate an outdoor kitchen or bar and add accent lighting to set the mood once day turns to night. Our lives are far too eventful to cram all the fun into one week. Create a haven for a daily staycation and spend good times with family and friends right at home! Along the lines of a staycation, is creating a quiet place in your yard where you can escape. Stop streaming Sounds of Nature through your earbuds and create a small space to meditate, read or simply listen to the actual sounds of nature. What a concept! Like many in the South Hills, some of our homes are surrounded by nature and wildlife. If you love birds or other living things, why not incorporate them into your landscape. Add a birdbath or plant bright clematis and honeysuckles that can vine on a trellis and attract beautiful hummingbirds. Collect water naturally with a pool or pond system and create a place for frogs, toads, and fish to coexist. Remember, one of the themes for 2019 is relaxing. Nothing is more relaxing than watching wildlife interact in a natural habitat. Being conscious of where our food comes from has gripped the nation in recent years. And while growing a vegetable garden may seem to time-consuming for the career-oriented, multi-tasker of the 21st century, it turns out you can create quite the bountiful garden in a very small space. Invest in a few planters for growing peppers, or hang baskets of cherry or grape tomatoes to toss into your salad. Plant green and red leaf lettuces within a landscape border or use them to fill in bare spots. Toss in a few string bean seeds at the base of an arbor and watch them vine. Or, create a vertical wall filled with fresh herbs and spices for Caprese salads and zesty fajitas! You can buy lawn and garden furniture almost anywhere. And while you may find some great deals, know if you’re buying cheap it’s probably going to be made cheaply. The beating sun and soaking rain can diminish the integrity of cheaply-made furniture. If you don’t want to replace these items each season, we suggest investing in weather-resistant, quality pieces. Skip the big-box stores and “buy local” through a furniture maker. If you prefer to DIY, consider building a bench or table of your own. When buying lawn furniture, you typically get what you pay for so spend the money up front and keep it for years to come. In the end, it’s a cost saving. At J Bird’s Landscaping, we know there are things you can do to beautify your yard. When it comes to the big stuff, let our professional South Hills landscapers do the hard work. We can tackle landscaping and hardscaping of all shapes and sizes. We live and work in the South Hills and landscaping is our passion. Call J Bird’s Landscaping today!